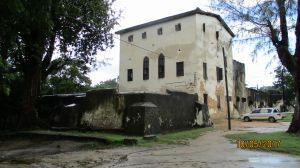 The Liku house of Bagamoyo, is one of its many historic landmarks that is located on India street and inside the old town heritage site of the Tanzanian town. 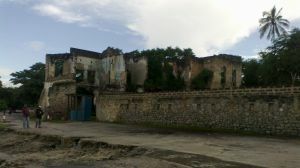 It has two floors and a walled in rear compound that has several stand alone buildings, some of which make up the wall, and is currently also used as an office for the local government of the ward of Dunda. 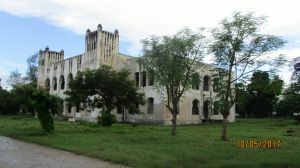 A history of the placeThe Liku house was originally built at the end of the 19th century by Abdallah Suleiman Marhab, although the exact date of its completion remains unknown. 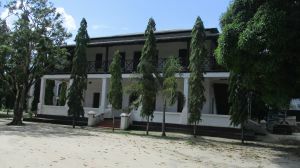 It later on was sold by Rhatu Bhimji to the German administration, who used it as an administrative headquarter and a residence. The famous German explorer Emin Pasha is also said to have lived there for a brief period  with Henry Morton Stanley, where he fell out of a first floor window that he mistook for an opening to a balcony during celebrations . What to do there?Nothing much, as it is currently being used by the local government, with the front being under under lock and key most of the time. 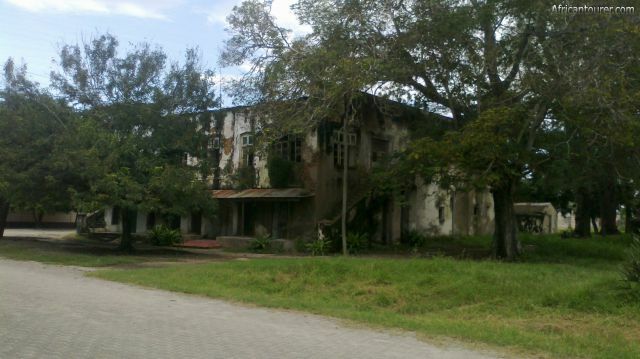 Leaving only one possible activity for tourists, that is admiring the 19th century architecture that has lasted for over a century; However, there are other ruins nearby that you could visit, most of which allow entry such as the Old Boma and the German fort. 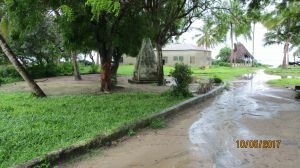 Liku house of Bagamoyo is located along India street (formerly known as Kaiser street), next to the town's public park and well within the old town heritage site - Tanzania. 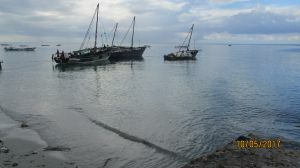 It also is across the road from the beach and within close proximity of several of the town's ruins such as the Old fort, the Old Boma, the Old customs house and the old arab tea house. For more information on its location, please see the map below (click to start). How to get there?Please use the map to find out how to get here. In any case, the distances required to travel while inside the town are small and can be done on foot. It usually takes about a ten minutes walk from the main bus terminal. 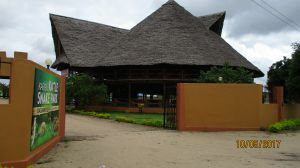 Are you associated with Liku House ? Contact us to improve this page or create another page for your business.